Sheet and Web Granulators – SW-0936 – Foremost Machine Builders, Inc.
Foremost’s SW-0936 Low Profile Sheet & Web Granulators process thermoform scrap including skeletal scrap, sheet web, expanded polystyrene, high impact polystyrene, HDPE, ABS, PET, and CPET. Featuring heavy duty construction and designed for easy maintenance, the SW-0936 promises a consistent throughput ranging from 800 to 1500 lbs/hr. With various options for optimized performance and consistent results, the SW-0936 Granulators offer a superior reduction plan for your thermoform materials. constant pulling force adjusted to the line speed of your thermoformer. Pivoting Screen cradle for easy removal of screens. Throughputs ranging from 800-1500 lbs/hr. Low Profile, airveyor base with casters. Skeletal scrap with and without formed parts in the web, expanded polystyrene, high impact polystyrene, HDPE, ABS, PET, and CPET. This machine can be positioned under or in front of the trim process. 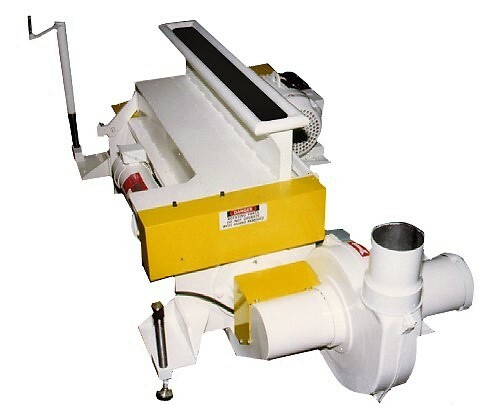 Roller Feeder Full width 2 roll (1 steel, 1 rubber covered) with 3/4 HP DC torque drive.